SIDS rates have fallen dramatically since the 1990’s when we learned that putting babies to sleep on their backs could save lives. 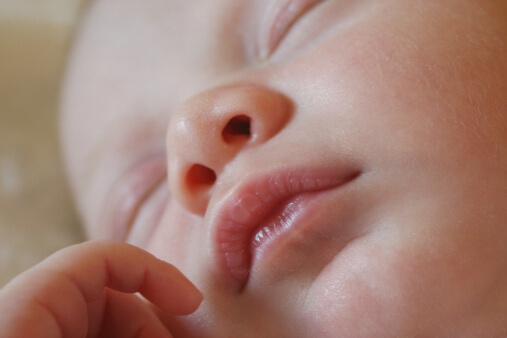 To understand the SIDS situation today, researchers conducted studies in 20 regions of Europe, analyzing over 60 possible influences on SIDS in over 3,000 babies. The results were published in the January 17, 2004 Lancet. Sleep position continues to be the biggest SIDS risk factor we can change. About 48 percent of current SIDS deaths were attributable to being put on the tummy or side to sleep. About 36 percent of SIDS deaths were attributed to the baby’s sleeping in a room other than the parent’s room. About 16 percent of the deaths were attributed to bed sharing. The big risk with bed sharing came from sleeping with parents who smoked or who consumed alcohol – the risk rising with each drink. Sleeping with a mother who smoked (particularly during pregnancy) multiplied the risk of dying of SIDS by more than 13 times. Apart from smoking and drinking, bed sharing posed little or no added risk of SIDS. Paying attention to sleep position and sleeping arrangements can still save many lives.